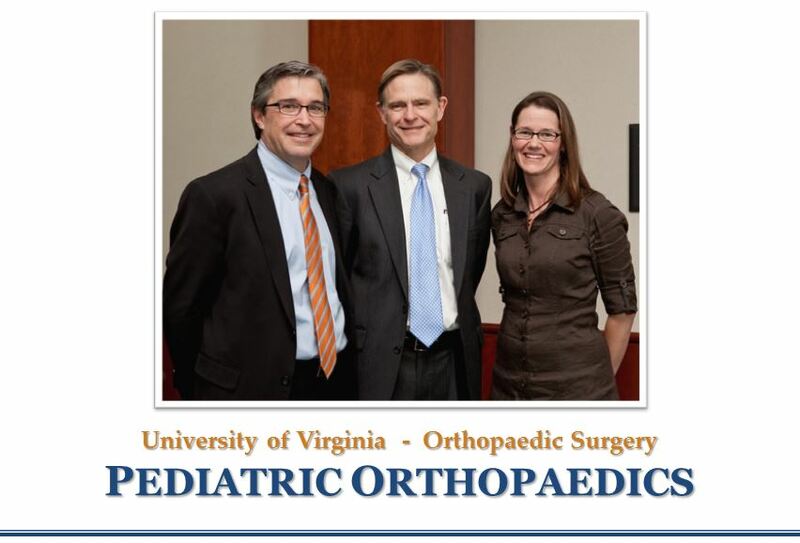 The Division of Pediatric Orthopaedics has a core mission of providing expert specialty care to neonates, children and adolescents with problems involving the musculoskeletal system. These problems can include spinal deformities such as scoliosis, fractures and other injuries, limb deformities of a congenital nature or occurring from abnormal growth; as well as derangements produced by chronic conditions such as cerebral palsy, muscular dystrophies and other conditions affecting the neuro-muscular system. The expert care is offered in a specialized setting, the UVA Children’s Hospital at the Battle Building, and supported by professionals trained to care for children. The research mission follows logically to improve our treatments of musculoskeletal conditions and to optimize treatment pathways. Disseminating our clinical knowledge and our research finding, as well as training professionals in the area of pediatric orthopaedics is the core of our educational mission.